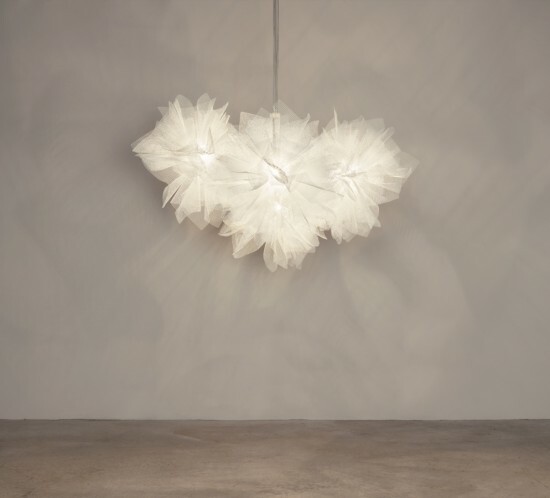 This collection of pendant lamps is created from galvanizaed painted steel mesh veils that gather gracefully around a single light point. 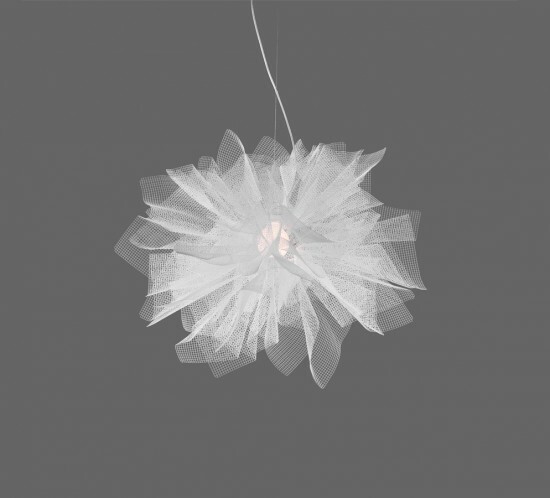 A light form which reproduces the illusion of a filmy fabric, like a semitransparent tulle that reveals and hides at the same time, playing with the observers intuition. 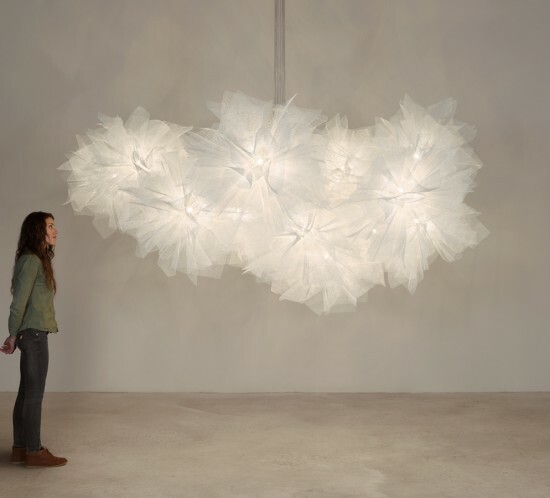 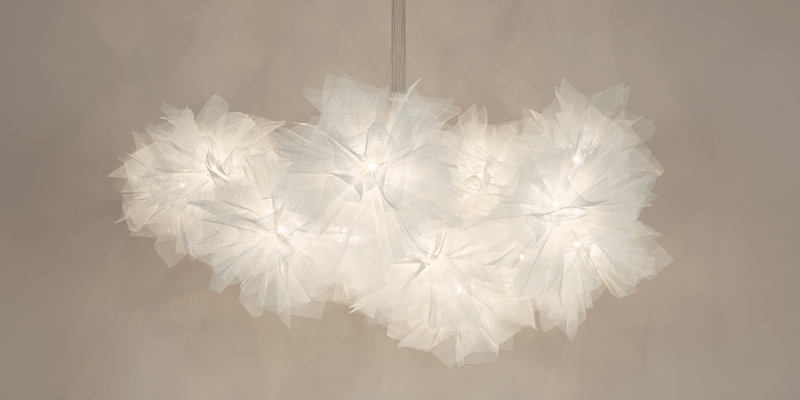 The lightness of this design, that achieved a Good Design Award in 2009, is enhanced in the largest chandeliers of the collection.